For most of my life I struggled with the sensation that there was a hole in my life, a loss of something vital. It felt as if there was a fuzzy-edged void somewhere inside, floating in my chest. I didn’t understand where it came from, just that it was there from before I had words and that perhaps it had been there from the beginning. Jessica Talbot lives in Buenos Aires, Argentina, with her husband and son. A native of New Zealand where she earned her master degree in psychology and a post-graduate diploma in clinical psychology, Jessica moved to Melbourne, Australia, where she worked as a child psychologist for 7 years–before relocating to South America with the hope of finding her way out of a crushing depression. The rest of her story can be read in her 2014 book Picaflor, which follows Jessica’s search for self that culminates in a realization of her childhood attachment wounds and eventual path of healing through Attachment Parenting. When I was younger I tried to block out the sensation with alcohol while I tried to fill the hole with boys. Then as I got older, I tried to fill it by helping others, and with more grownup boys. When I wasn’t desperately trying to throw things into the hole to fill it up, I sank into the grey world of depression and resigned myself to loneliness. With nothing to lose, and a glinting light of hope, I flew to Peru. During the journey and the years that followed, I kept meeting other people who seemed to also be struggling with something similar. These people were searching, too, for the way to fill in the missing bits. Most of these wanderers had lost important people in their lives, or were detached somehow from families back home. They were trying to find a place to belong in the world, a place where they could love and be loved. It was during my long journey to find my “home” that the floating hole filled up. 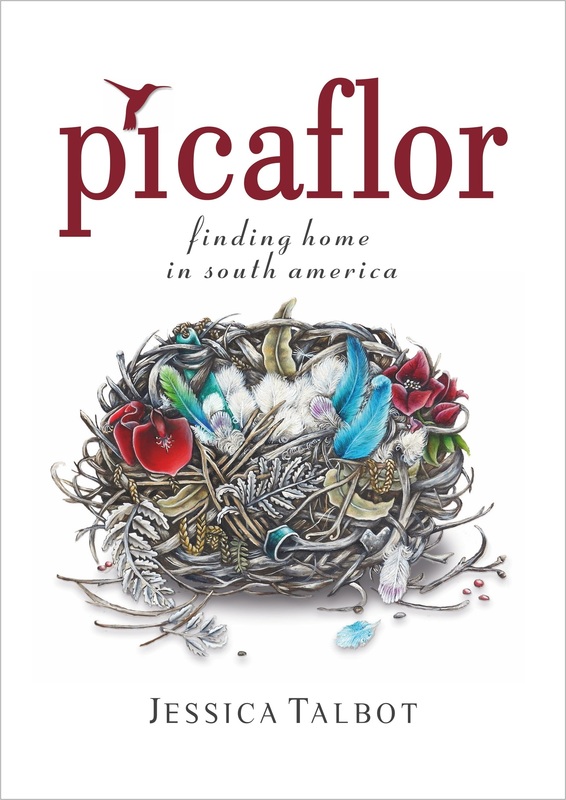 My book, Picaflor, was the product of a desire to tell that story in the hope that it may help others vanquish the void, and to prevent the same sensation from occurring in their children. The journey was painful, but I learned many things. I saw how important connections and family are to Latin American people–how children are so much a part of everything, and just how much people, big and small, were touched and kissed and hugged daily. I dived in, and it started to heal me. Now, I know just how necessary that touch is if we are to survive the harsh edges of life. Read more about Attachment Parenting International‘s Fourth Principle of Parenting: Use Nurturing Touch. 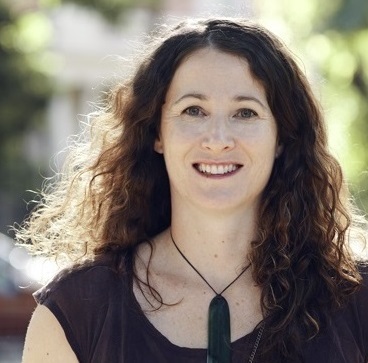 While creating a new family in a country far from my birth place, New Zealand, I also made peace with my past and reconnected with my family. It was during the process of writing and then releasing Picaflor that I had many talks with my mother and father. These conversations gave me what I needed to understand why I had always felt so detached and why I had never quite felt worthy enough. I finally saw what the “little me” missed out on and what the “big me” now had to create for myself. 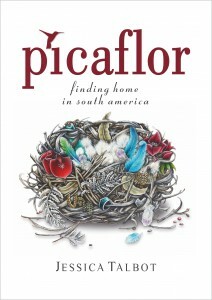 Read an excerpt of Picaflor in this API article, also included in this “Inspired Parents” issue of The Attached Family. I saw, too, what my parents were missing and how they tried to give me the solid base I needed, but were unable to for many reasons. The relief that came from understanding was amazing, and forgiveness came easily after that. When I found out I was pregnant, I didn’t rush into reading parenting manuals and books. I knew I would figure it out when the time came. I already knew how important attachment was from my training as a child psychologist and from the experience of having shaky foundation blocks. I wanted to trust my instincts. After he was born, I realized it was way harder than I imagined! But I let things flow in the way that felt right for me, baby and family. Without even knowing about Attachment Parenting (AP), I became an AP parent. I watched, I listened and I let him be as close as he wanted, for as long as he wanted. And now I have a happy, independent, snugly, empathic 5 year old as a result. When he’s tired or worried about something, he still wriggles up very close and puts his hand over my heart. I feel it inside out and outside in. We all need nurturing touch. 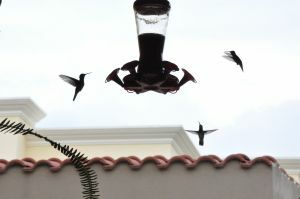 Part of the reason I named my book Picaflor (“hummingbird” in Peru) was because they are the only birds that can fly backwards. I believe sometimes we need to go back, to mend things, so we can fly forward again. When you are freer from pain and anguish and anger, you can see more clearly around you and you can see what your children truly need. I am surprised of knowing about the book. I know Jessica from my daughter’s kinder she shares with Jessica’s son. I feel very similar to that sensation of not knowing where we belong. As a mother and a grownup woman I ‘ve learned a lot by living with that question throughout my life, accepting my mistakes as I also hush and still love my child when she makes her own mistakes. Sharing such feelings with others feels as if that black cloud is blown away. I admire and thank Jessica for her courage to express and share wich is in great help to many. Love to read the book! Cuando Paco era chico y quería subirse a un árbol, nunca le dije NOOO! TE VAS A CAER!! sólo buscaba la mejor posición cerca del árbol para atajarlo si se venía abajo! TRANSLATED: When Paco was a kid and wanted to climb a tree, I never said NOOO! YOU WILL FALL !! only seeking the best position near the tree to tackle it if it came down!